Replacement:BOB-10344. Although not a direct replacement, the Si4703 would be a fitting substitute. This page is for reference only. 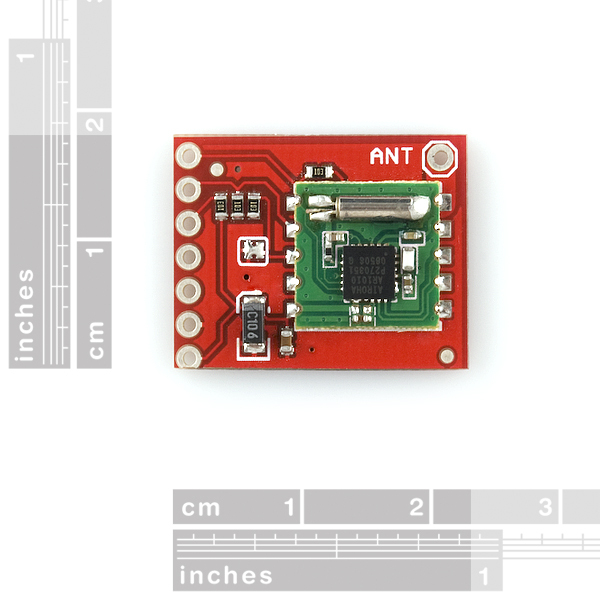 This is a breakout board using the AR1010 IC from Airoha. 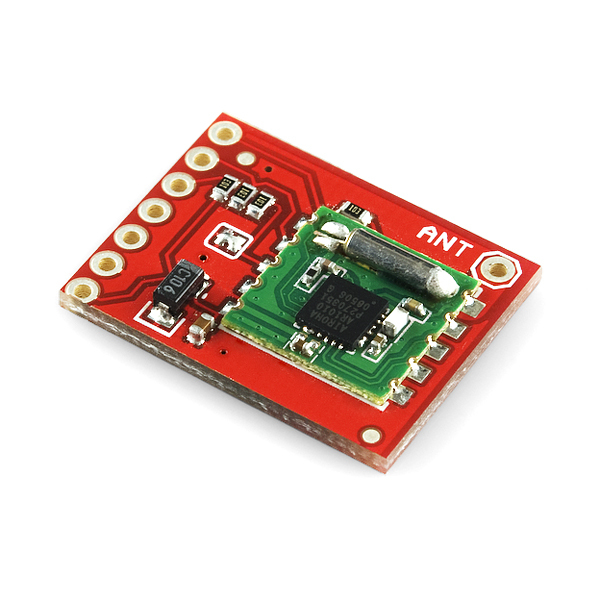 This FM receiver uses a simple command set over an I2C or SPI interface. Connect the OpAmp Breakout and a 3.5mm Audio Jack Breakout to the audio output pins and you will be able to plug in a 3.5mm audio cable to the OpAmp and listen to your favorite FM radio station! Check out the related items below. Antenna: An antenna is required. We've used a 31" piece of 22 gauge basic hook up wire with great results. how do i request one or can somebody send me one? 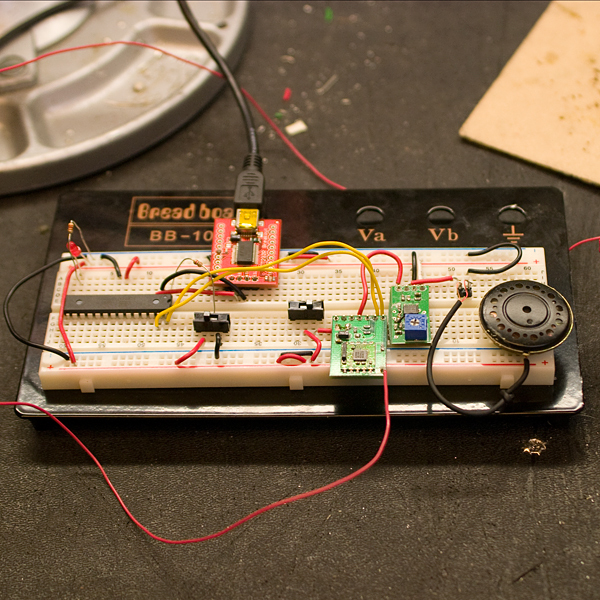 @zeropointo thanks for your "functional Arduino example", it works great!!. And Yes, Opamp is unnecessary if you use it with earphone or Aux In. Greetings! Anyone use "AR1010lib" Arduino library from Adam Jansch? The trick was to include and initialize Wire.h in my own code. 100mV output is the same levels that come out of your ipod or computer. so they'll need an amplifier to be heard through a speaker. headphones will readily accept the 100mV levels and you can rock out. Is this a standalone device or do you have to have a microcontroller? 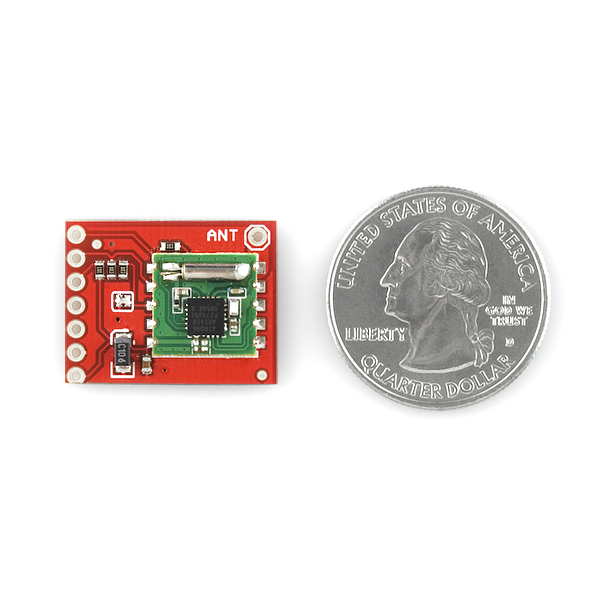 I'm trying to make a small short distance radio to connect wirelessly to my iPod and don't need a lot of bells and whistles, but would like is very small. This isn't a standalone device; it has an i2c or 3-wire control interface, so you'll need some sort of microcontroller (even a tiny one) to get this running. The OpAmp is completely unnecessary. This module works perfectly when plugged into the AUX IN port on my computer speakers, very loud. I got this working with my Arduino after a couple days of work. It was possible to modify the "Example AR1000 ATMega168 Code" posted above to compile in the Arduino IDE. I still can't get he seek function to work though. Hi! I'm trying to interface this with an arduino. Is there some sample arduino code or library, i could use? Are there any specific consideration for arduino? Do the people who manufacture this device for you not know that the 32,768 Hz watch crystal is very prone to damage when case is soldered in the way shown in your photos? The 'crystal' name given is a misnomer because what is inside the case is a very precisely dimensioned MYLAR (plastic) tuning fork style of resonator. Excessive heat on the case can cause the innards to literally 'curl-up' and die! You offer convenient and straight-forward information for devices such as these. However one thing DIFFICULT to locate (if it exists) is simple (dimensioned) mechanical drawings that allow us to better interpret what is actually being bought. I am using this radio device for first time on behalf of friend who has purchased one from you. I have completed most of the software and cooking up a layout as well - all with the device sight-unseen. Can such a drawing be found on your site for this product (breakout version). It would be really helpful to have a diagram that helps understand how we connect the FM Receiver breakout board to the Opamp breakout board and the Audio jack. Anybody else having trouble getting valid RSSI values? I am returning RF signal strength of 0. I have looked around in the documentation a little bit. But is there any way of tuning in at a desired frequency that i know already ? Is there a schematic for use along with the example code to the ATMega168? @russd01: Sorry for the double post, but from the comments in the module's page ( http://www.sparkfun.com/commerce/product_info.php?products_id=8770 ), this module isn't compatible. Apparently the previous shipment of chips were TEA5767, which did support RDS. I'd assume that if it did, they (the manufacturer) would be touting it as a feature; I don't see it listed anywhere. So, what do I need to listen to the output? Can I use an earphone connected to this, or do I need to connect the OpAmp breakout, then the earphone. What if I want a speaker? Do I need a second amplifier after the OpAmp, or is there a single unit that can boost the FM Receiver's output to speaker level? did you plan a breakout board for the AR1200 ? This is nice, but it would be even better if the original module had standard .1" spacing, so I didn't need a breakout board for the breakout board to add the AR1010 to my project without having to make a custom PCB. New example code has been posted! Use it to test the functionality of the AR1000! have a look at the ReadMe file for more information on how to use it. 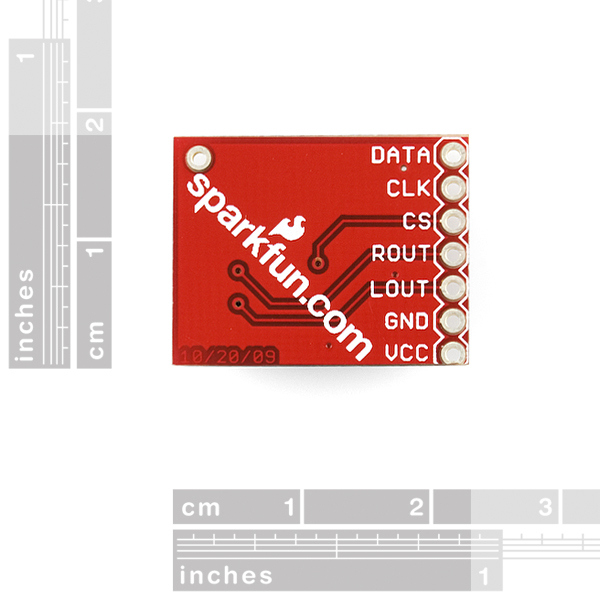 Also please note that right now the jumper on the board does not come soldered, this will change! and it will come jumpered very soon. updated pics will follow. To use the example code, the jumper must be closed, so if you get one that is not soldered please solder it yourself or close the connection some other way. Where is the new example code?